Yesterday, the Men's World Figure Skating Championship program concluded with a wonderful free skate final. Where figure skating had transformed into a "he who doesn't fall wins the medal," the rule changes of last year brought wonderful artistry to all the disciplines - none more so than the men's program. Everyone was waiting in anticipation for the Yuzuru Hanyu vs. Nathan Chen showdown. While both of them were in last winter's Olympics, Chen's multiple falters in his short program left him well behind the pack, even though his long program score actually exceeded Hanyu's. This year, it was Hanyu who was struggling after an injury in the fall left him trying to recover in time for this weekend. Meanwhile, Chen was soaring, winning the ISU Grand Prix Final as well as the U.S. National Championships with an insane (and probably inflated, let's be honest) score. This weekend, both men came out strong, but it was Chen's short program skate that probably sent him over the top. His "Caravan" routine not only got the crowd involved, but it was clear on Chen's face that he was all in. Hanyu doubled his first quad, and while the rest of his program was great (if not a bit frenzied), he was twelve points behind. On free skate night, both men rose to the challenge. Hanyu came first, and only a tiny mistake meant that Chen, who had to follow the host country hero, had to be essentially perfect. Most people would shy away if the preceding skater was basically adored by every fan in the stands and couldn't even take the ice until all the Winnie the Pooh bears were shoveled off the ice. Not Nathan. He took that energy and channeled it into his "Land of All" routine. While not as pinpoint perfect as it was when I saw it in January, it was still awesome. I'm really bummed that these two programs came in a non-Olympic year, just because I want everyone to see them! With Hanyu trying to vie for another Olympics, this quadrennial of men's figure skating could showcase some of the best routines we've ever seen by these two men. Best of all, it means that the rest of the world is going to be raising their game as well. Names like Shoma Uno, Vincent Zhou (who ended up with a world bronze! ), Jin Boyang, Kevin Aymoz, and Mikhail Kolyada will be taking figure skating to new heights. I don't believe there is any sort of animosity between Chen and Hanyu. It is a respected rivalry, where one uses the other as a way to set a goal. Hanyu said as much when he mentioned watching Chen's National Championship free skate and knew what he would have to beat. There is a five year difference in ages: Hanyu is 24 while Chen is just 19. But I have no doubt that if Hanyu can stay healthy, we can sit back and enjoy men's figure skating for a few more years. On the other side, we did have a spat in the women's figure skating between two training partners. USA's Mariah Bell was practicing and clipped the leg of South Korean Lim Eun-Soo, resulting in the South Korea delegation complaining about Bell's action. If you're more into the actual competition, Alina Zagitova dominated the women's program, rising to the occasion at just the right time while beating Evgenia Medvedeva and Elizabet Tursynbaeva. Tursynbaeva became the first senior woman to perform a quad jump in competition! It was pretty spectacular to see. Tursynbaeva actually trains in Russia, so the Russian women are really the ones to watch when it comes to rivalries. Healthy? From what I've read this year, probably not. But it will still foster some pretty stellar routines as the years go on. Winners hate to compete alone. It is always beneficial to have someone of your range of ability compete alongside of you. While many sports have ever-evolving rivalries, it looks like figure skating has some fun competitions for many years to come. Why don't we continue in the figure skating mindset and look at their Burning Question: why don't figure skaters get dizzy? I was able to catch a few matches that Team Sinclair played during the Women's Curling World Championships. While they had some strong matches, they just barely finished outside of the playoff teams, losing to eventual world champion Switzerland in the last match. They kept that match close, especially knowing their skip Jamie Sinclair actually didn't compete after an injury that morning. A lot of winter sports are now finishing their seasons, including biathlon. In today's final pursuit of the season, Team USA's Clare Egan finished her season on a high note, getting onto the podium in third place! The head of Japan's Olympic Committee announced this week that he was stepping down in his role and also relinquishing his seat on the IOC. 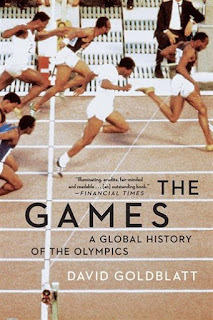 All this happened after a French report alleges that the Japanese committee that brought the Olympics to Tokyo used bribes to get votes. 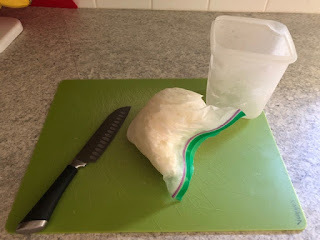 Most people won't hear this news, but it really puts a damper on the entire operation. When is this kind of stuff going to stop? 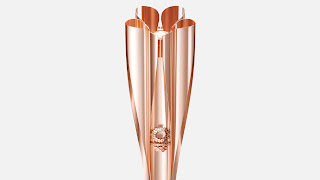 To end on a brighter note, the Olympic torch for 2020 was unveiled, and it is beautiful! 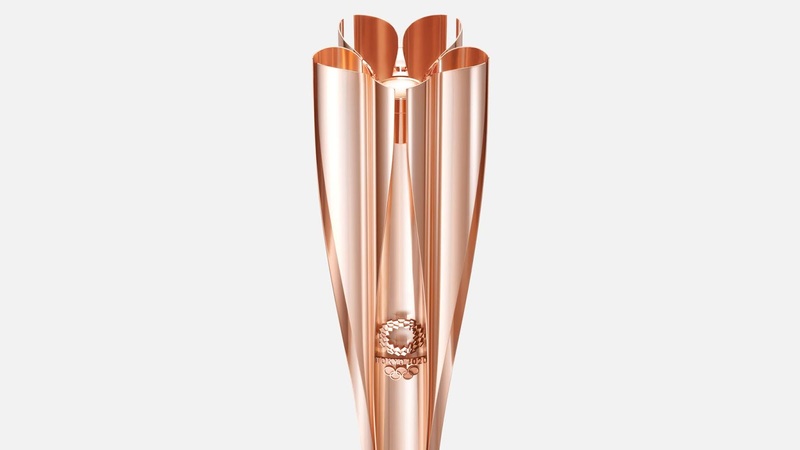 It incorporates a cherry blossom design (which is nice because a lot of the torch relay will be during cherry blossom season) and rose gold color. Apparently rose gold is a new thing - forget yellow gold!